MarketsWorld is one of the more exciting brokers we have encountered. They allow traders from the USA, require a minimum deposit of just $20, allow you to trade as little as $1 at a time, and are licensed and regulated in the UK (by the Isle of Man Gambling Supervision Commission). 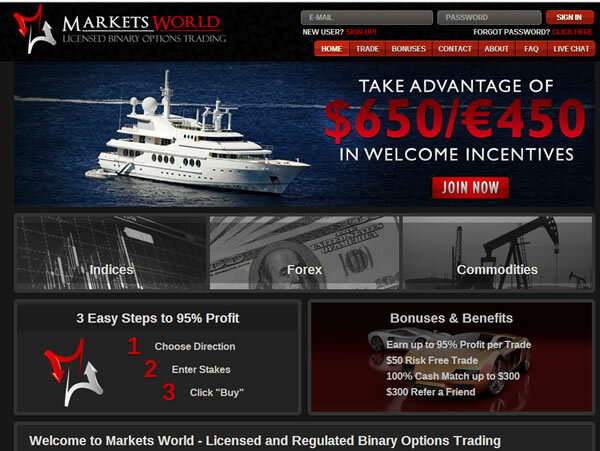 One of the features that is most enticing however is the free demo account that MarketsWorld offers to new traders. To learn more about MarketsWorld and their features, read our review. To learn more about how to open a demo account at Marketsworld, read ahead. MarketsWorld makes it easy to open a demo account. Lots of binary options brokers don’t even offer a demo feature, and if they do, it is often hidden. You may only find out about it by asking a customer service agent, and you may also need to get the agent to open the demo account for you. You also might be required to deposit funds in order to trade virtual currency. But with MarketsWorld, opening a demo account is simple, fast, and effortless. Look at the bottom of the page on MarketsWorld and find the section that says “Getting Started.” Below “Getting Started,” you will notice four subsections, one of which says “Free Demo Account.” Click on that link. Now you will find yourself on a page that says, “Why We Offer a Free Practice Account.” This information is useful and relevant to you as a trader, so you should take the time to read it. Scroll down to where you see the red button which says “Trade Now” and click on it. Note that you can bypass most of the screens above by simply using the “New User? Sign-up!” link provided at the top of the MarketsWorld website underneath the email and password input boxes for existing customers. The sign-up screen always offers you the chance to open a demo account instead of a real account, no matter what area of the site you access it from. Why is the MarketsWorld Demo Account Unique? While this may sound like a completely reasonable offer (because it is), you may be surprised to find out how rare an offer it also is. Firstly, there are only a few binary options brokers who even offer a demo account at all. If we see one, we are usually pretty impressed. Secondly, most binary options demo accounts at other brokers come with numerous restrictions. You may have to make a full initial deposit just to access the demo account (even if you are able to withdraw it all without placing a trade). This is risky if you do not yet trust the broker. Or you might only be able to place X number of trades, or trade for a couple of weeks, and then the broker will shut off your demo account. MarketsWorld actually offers its customers access to its trading platform for as long as they need to test their trades. Realistically, you are probably not going to be ready to trade for real and be profitable with only a couple of weeks of testing. Most serious traders will test for a couple of months before they feel comfortable going live. This isn’t a big deal if your motivation for trading binary options is for fun only, but if profit matters to you, it sure is going to matter. MarketsWorld gives you the time you need to actually learn how to trade for real, without the inconvenience of continuously trying to open new demo accounts under new email addresses. Demo testing is not just an activity for beginning traders; most traders will regularly go back to testing throughout their trading careers, either to perfect existing strategies or develop new ones. You do need to use a new email account to open a second demo account after your old demo account is converted into a live account, but MarketsWorld will not try to stop you from testing in the future. Why Is Demo Testing So Important? Demo testing allows you to work on developing your trading strategy in real time, which is different from developing a strategy on historical data. That is where you have to start (backtesting on historical data), but if you do not try taking the system you created using old data to a live environment before you use real money, you are leaving a lot up to chance. When you demo test, you remove a lot of uncertainty from the trading process. For one thing, you learn how to use the trading platform which you will be trading on with real money, so you are less likely to make simple but costly mechanical mistakes while you are trading. You also learn what kinds of emotions and pressures you will be dealing with when you are trading for real, and you get a feel for how trading will impact your existing schedule. Sometimes this can create a need for major adjustments, and it is best to make these adjustments and figure out what you need to do in order to be successful before real money is on the line. If you jump straight from backtesting to trading live with real cash, you will almost certainly blow your account overnight, and if you do not, it is only a matter of time. There is a huge difference between trading historical data and trading as a real time activity, and you will probably be surprised when you realize how big a transition it is. That is why it is so critical that you do not lose money while making the transition. MarketsWorld sets itself aside in more way than one by offering this unrestricted demo testing opportunity. The most obvious way is of course by providing you with a useful tool, which is important for the reasons we listed above. But the other way in which it sets the broker apart is less obvious. It demonstrates their commitment to quality service and their interest in cultivating long-term customers. MarketsWorld also provides some great advice on the page describing their unrestricted demo account. As they point out, a demo account helps you figure out what your trading style is. They also suggest that you learn how to set realistic goals. For example, instead of saying, “I want to earn $100 a day,” you might come up with a goal like, “I want to save up money so that I can do ____,” or “I want to improve my trading by learning about _____ and how it impacts trading.” MarketsWorld also has a page about responsible betting, urging people who engage in problem gambling behavior to avoid trading. The broker even offers you to chance to “self-exclude” yourself from trading on the site by contacting customer service if you think you have a problem. 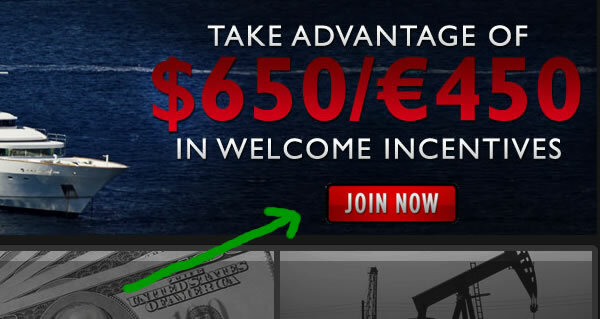 All in all, MarketsWorld.com provides a lot of sophisticated tools and advice for binary options traders. The features and the good intent they demonstrate are equally valuable. It is hard to find a company that not only provides a great trading vehicle, but also trustworthy policies and excellent customer service. MarketsWorld stands out in all respects. If you’re ready to learn how to trade live without risking real money for as long as you like, check out their website and open a free, unrestricted demo account.